As of today, SCS have released a new patch v1.7.2.1 (currently Steam only) that allows the lightbar (globetrotter sign) to be skinable on the New 2012 Volvos. As a result I will be editing my current Volvo skins to show appropriate names where needed. I have already updated Phoebe Grace and will do the rest tomorrow. Please be aware, the update also changed things with the truck engines in the shop, meaning it is all out of order if you are using my Volvo front grill mod. I have also updated this. BSM V0.4 & Malcolm Truck Updates. First up the BSM has been updated to version 0.4 – this update includes the Malcolm Group Cancer Research Charity trailer that they paid Stobart’s to pull. This trailer is limited to Frozen Food & Yohgurts and will only deliver to/from Kaarfor/Sellplan & Stokes. I have also updated the three Malcolm trucks for two reasons. The first was to replace the MalcolmGroup website text so that it uses the correct font. The second was to rename the Malcolm Contruction SCS file as I had named it the same as the Malcolm Logistics file meaning you couldn’t use both at the same time. Ooopsie. 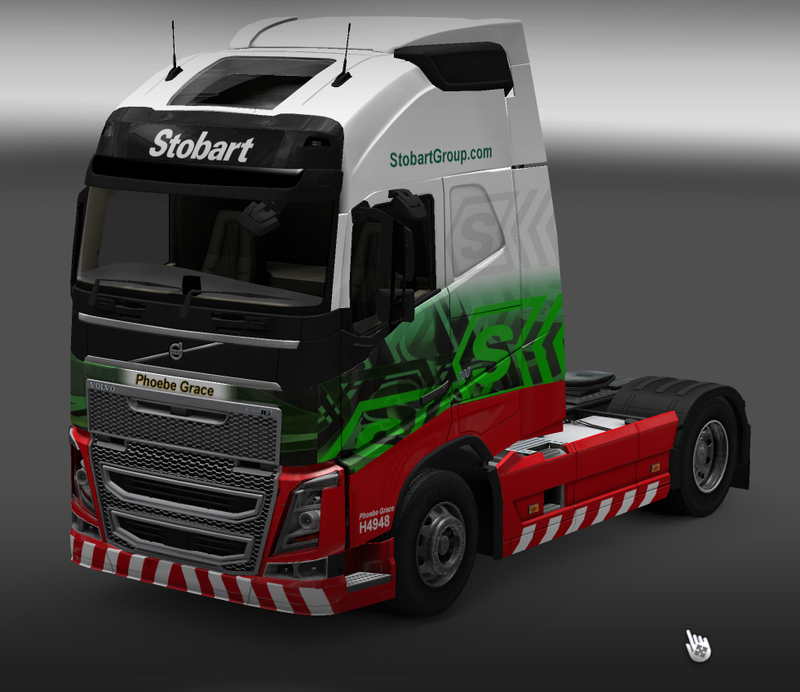 Made sure all Stobart trucks have only the appropriate icon files and update the classic stobart so it has it’s own classic logo in the paint shop rather than the standard logo. 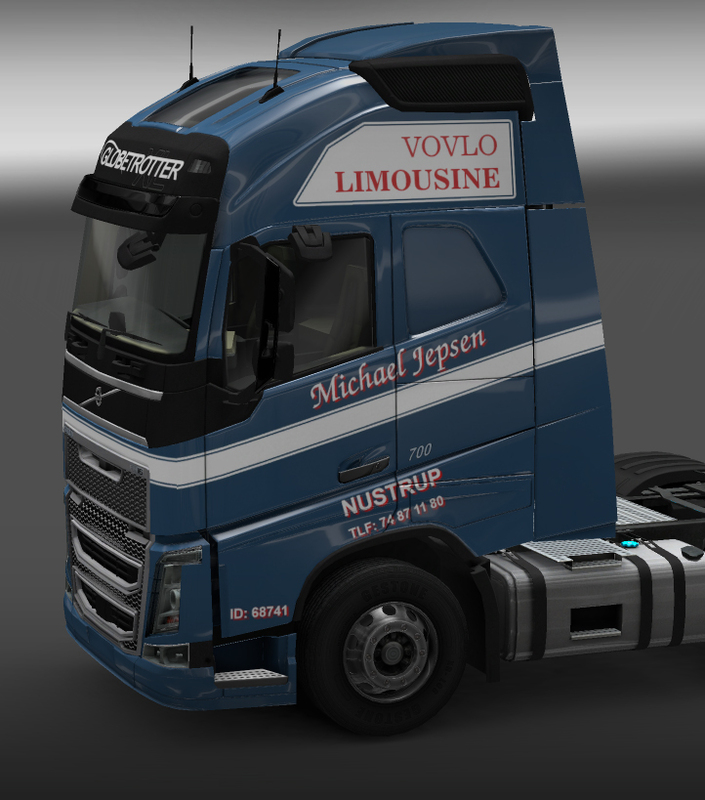 Also added a Michael Jepsen Volvo 2012 by request. 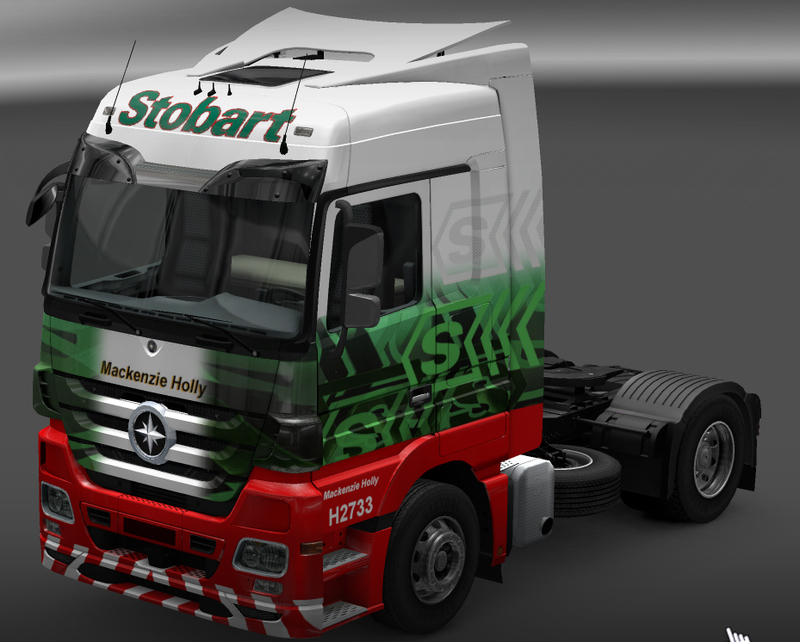 I have finally updated the final two Stobart skins for the old Phoebe Grace and Merc/Majestic. In a recent update the Merc unit was remodelled slightly causing an error on the front of the truck where part of the red had turned to white/green, this was also fixed in the update. You may notice that the Merc is not Mackenzie Holly, I felt it was a better option since Jessica is technically on the MP4 Actross. 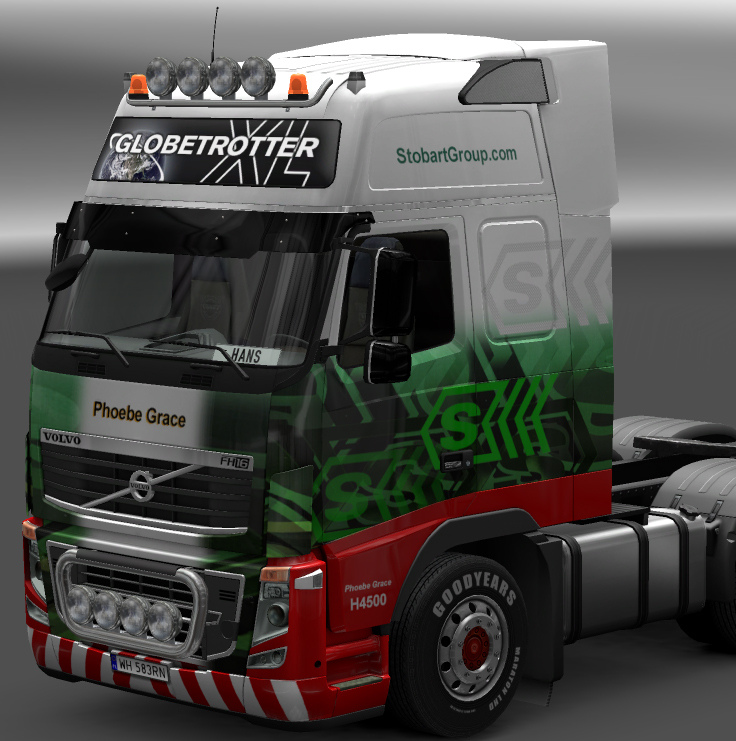 First of all, if you are using any of my truck skins for the new (2012) Volvo’s, please update them as soon as possible. Yesterday (Sunday) I found a large error in the def file of the Volvo’s, as of 12:40pm (UTC) all Volvo’s were fixed and updated. Even though the skins appear to work with the error, it is important to update them so that no issues occur later on. This issue CAN cause problems with skins on other trucks if you do not update. And finally, since the poll was completely one-sided in favour of the new Biomass skin, I have closed the poll and updated the mod to version 0.3.2. The only change is the new skin. Changes include the removal of 3 Tesco cargoes and the addition of the Super League trailer. I have added a second ASDA option to the Kaarfor mod which includes a stand alone trailer that was previously part of the Asda distribution centre mod. Due to this new addition I have decided to delete the old mod that replaced Posped.